Hi everyone! This week I’m doing a giveaway in conjunction with Kelly of I Have A Notion, and she does. She actually has a ton of notions! Like most of you out there, I LOVE NOTIONS. 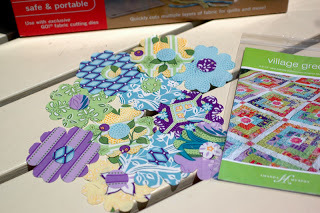 In addition to stocking a rotary blade sharpener that I have been coveting ever since she reviewed it last week, Kelly stocks of ton of Accuquilt dies. We thought it might be fun to do a giveaway incorporating my patterns and Accuquilt products. This past weekend our kids and I cut some fun flowers using the Accuquilt fabric cutter – 20 in Veranda and 20 in Ambrosia. 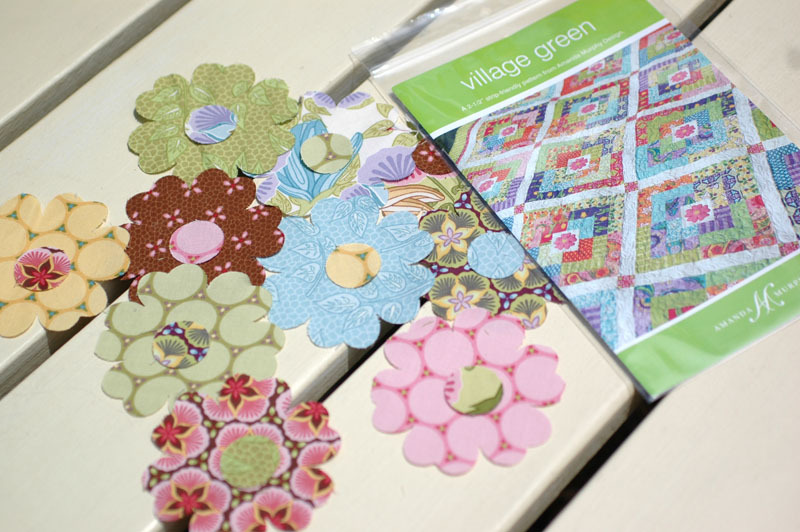 They are the perfect size for my Village Green quilt pattern. 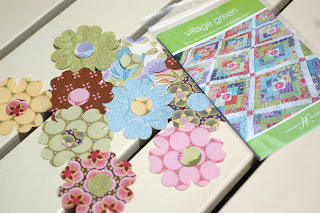 I’ll be giving away each set, in conjunction with a Village Green pattern. So, if you follow this blog, leave me a comment (only one) telling me the best handmade project you’ve ever given. I’ll start by saying that the best project I’ve ever given was this quilt that I made for my mom. It was actually going to be her first quilt – I know – she is an overly ambitious person, but she was very distressed to find out how it soon overtook her house, so I inherited it very early on. It was my favorite because of how much she appreciated the work that went into it. My friends lovingly referred to it as the “Guilt Quilt”. Mom even bought a new couch to go with a quilt. Only a mom buys a new couch to go with a quilt, for goodness sake! (Not to mention the fact that she is decorating her new house in Swiss Chocolate!) All year I told her that there was no way I could get it done, even as I was finishing up. We made her go on an embarrassing treasure hunt around the neighborhood to claim her prize, and when she came back home she was shocked to find it finished on her bed! My second favorite giveaway is this Amy Bradley quilt I made for my nephew. Unlike his grandmother, he did not reupholster a couch to go with his quilt, which is why this is my second-favorite gift (sorry Ollie! ), but he does know all the dogs by name. For another chance to win a fun prize, go over and visit Kelly’s blog at I Have a Notion. 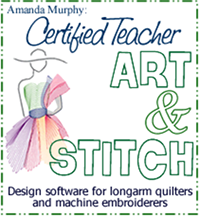 She is also offering a great discount on the AccuQuilt GO! Round Flower Die that I used in the above photo and on the GO! Baby Fabric Cutter. The deadline for both giveaways is midnight Thursday. We’ll announce the winners on Friday. Good luck and happy sewing! The best homemade project I ever made was a new quilt for my Mom's bed after my Dad passed away. She definitely needed something brighter and more cheerful. I made her the pattern Between Friends using the Bliss line by Camille and Bonnie for Moda. She was thrilled. the best handmade present I've ever given was a birthday dress that I did pinwheels on – turned out sooo cute I had a hard time giving it away! I made a heart for my wife that is a little pillow that was made with a mixture of cross stitch, knot tying with ribbons and hand embroidery embellished with beads. I then had it framed in a shadow box frame. My husband has only ever requested one quilt for himself and that's one in our college colors of maroon and orange (go Hokies!) so the fact that he wanted it makes it special. Plus it took me YEARS to collect enough fabrics to make it really scrappy so it was exciting when it was finally done. I made my sister baby quilts for her twin babies, before I knew anything about making quilts – I just flew by the seat of my pants, and they actually turned out to be quite nice. It was a wall hanging with counted cross stitch of 2 swans on a pool, with their reflections in the water. I gave it to our good friends who were moving away to another state for their new home. I adore your nephews quilt – its great! Thanks for the lovely giveaway! Amanda, your designs are just fabulous. I have not quite given my best handmade yet, because I just finished my first quilt top last week and have to get it quilted. It is for my son, and I used black and white fabrics I received after going on a bus trip last August in SE MN for the Quilt Minnesota Shop Hop. There is a picture of it on my brand new blog. It is hard to choose my favorite but I wll have to say that I made an applique pillow for my daughter one Christmas when times were tight. It is a cute full-sized kitty in a dress complete with a calico dress and lace collar. She still has that pillow. She used it a lot when she first drove our pickup to reach the pedals. She is 5'1" so it was quite a sight to see. Now she has it in her cedar chest and I am getting ready to make one as a boy for her little boy. Amanda, you brought back memories and a smile! The best handmade gift I ever gave was the quilt that I made for a friend's birthday. I loved the colors and how it turned out and he was so surprised and loved it. My favorite is a quilt I made for my Mom on her 89th birthday from embroidery blocks sewn by her Mom, Grandma Jessie. The best was the sunflower quilt I gave to my daughter for her university graduation this May. She is my sunflower girl! The best handmade gift I ever gave was a blue and white mystery quilt that I gave to my DS. Thanks for the giveaway! Hope this one counts…..My best handmade project will be given to my sister in November on the occassion of her 50th birthday. The project is a Grandmother's Flower Garden quilt that was done by my mother. Mom lost her battle with cancer before she was able to complete it. All that was left to do was the binding. Here it is years later and I finally took up quilting. So after a bit of research and a little practice I am adding the binding. This way my sister gets a present from my mom & me for her 50th. My best hand made project is the Yellow Brick Road quilt I made for my dad. It was to be a birthday gift and I used fabrics that incorporated elements from his life. (farming, hunting, patriotic, ranching) While I was making it he became gravely ill so I quickly finished it and overnighted it to his hospital bed. He had it for two days before he passed away. I made sure someone read my quilt label/love note to him. i made a quilted jacket for my mom many years ago, before I made bed quilts. She always wears it when I go to visit and when strangers comment how beautiful it is, she beams with pride as she tells them I made it. My best gift was a quilt I hand pieced and quilted for my Mom. It was in her favorite color of purple, she kept it on her bed. She died two years after I finished it. Your flowers are lovely and so is your pattern. Thanks for the giveaway. My best handmade giveaways have been for my children, made with love for the loves of my life. My best gift was the paper-piecing quilt I gave my DD1. I had said I would NEVER do paper-piecing, but when she requested a specific quilt, I had to make it for her (she never ever asks for anything). By the time I finished that quilt, I didn't hate paper-piecing any more. Strange. And – not sure if I ever got set up as a Follower because Blogger was being a bit of a meanie. I am receiving your e-mail updates though. The best project I've ever given – and probably one of the best projects I've ever worked on period – was a quilt I worked with my Mum on for my granddaddy's birthday. We appliqued and hand-embroidered "bits" from his life on all the individual squares – his sayings, images from childhood stories and things that were just iconic to him. It was amazing, and such a wonderful way to celebrate my granddaddy. My best was a lap quilt I made for my father while he was still alive. He had a terrible heart condition and was always chilled. It was the only quilt I ever handquilted. He loved it. 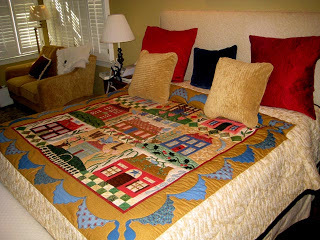 Then he saw in a magazine those collector plates and they had a series that were quilts. He ordered and had sent to me one of them, and it was the same colors and style as the quilt I made him. Mom said he NEVER did that before or since. Really special. I think my best handmade project was my first big quilt. I was very proud of it, because I knew very little then. One year for Christmas I made everyone on my list a knit hat and a scarf. It was a huge undertaking, but it's so satisfying now to see my handiwork come out every year, once the weather cools, and actually be used and loved. Thanks for the giveaway! The best handmade thing I've given was a skirt for my daughter to wear for her kindergarten graduation, It was super simple but she loved it and was so proud to tell all her friends that her mom made it for her. One of the best homemade projects I've ever given is the queen size quilt I just made for my Brother and his wife. It was my own design, and I quilted it myself on My 30 year old Kenmore machine. I was so proud of how it turned out. Thanks for the chance to win. I follow 🙂 The best handmade gift I ever gave… is one I just gave two days ago! I made my best friend in the world, who is a photographer, a photo quilt of her time in Europe. Because she thought I was working on her t-shirt quilt, she was absolutely shocked! Gosh, I always try to make homemade gifts to family and friends and when I don't I feel like I have cheated them and myself!! The best homemade gifts are the ones given by surprise – when it is least expected!! A string art picture of an old sailing ship done on a velvet backed piece of plywood. It was an art project (for art class) that my grandmother purchased all of the materials for. When we were allowed to take our projects home I took it to my grandma's and gave it to her. She proudly displayed it in her living room until she passed away. The best handmade gift I have given was a queen sized wedding quilt with an applique pattern. It was machine pieced but the rest was all by hand ie all the applique and quilting was done by hand. It was presented to our son and his new wife. It was truly a gift of love. The very best project that I ever made was years ago, a "broom" for the door that is used in place of a wreath. I made a different cover for each season/holiday to slip over the handle. My sister-in-law loved it. I am actually currently working on two different handmade gifts that are destined to be favorites. The first is a Quilt of Valor quilt for my mother (that features a bit of Swiss Chocolate!) and a set of 15 personalized placemats for my mother in law that has the names of each member of our family embroidered on them. I hope it is a merry Christmas for both these incredible women! It is always a joy to give a handmade gift to someone we care about. Mine is the doll quilt I made for my granddaughter, Bella. She is a princess and loves all things princess and pink. The quilt has all the Disney princesses, crowns, jewels, and lots of pink. It is also big enough for her to use as a lap quilt. The best part, those are only 3 out of the 17 I must make as each of my grandchildren turns 8 and gets baptized. . . YIKES What have I started???? I made a quilt for the M-I-L. I was very worried about whether she would like it and whether she was a "quilt person." It was a Christmas gift, and the husband was laughing and saying she would probably cry in a dramatic fashion. She did, it was very sweet, but I was happy she liked it. It was one of my first quilts. The best gift I ever gave was a cutwork tablecloth I made for my mother-in-law. I spent many hours satin stitching appliques, and then cutting with tiny scissors to reveal the open areas. My mother-in-law treasures her gift. Hi Amanda, I am a follower, and the best hand made gift I gave was a quilt I made for my parent's 45th anniversay, when they were both going through chemo treatments for cancer, and we weren't sure how many more anniversaries we would be able to share with them. I now have the quilt in a special place of honor in my home. The best handmade present I have ever given is the 40 page wedding photo album I scrapbooked for my daughter and son-in-law. I used papers and embellishments left over from those I used to make their wedding invitations and reception decorations. Thanks for the chance to win your beautiful pattern and flowers. I'm new to quilting and would love to use them for my very first quilt! My best project so far is a log cabin design quilt I made for my daughter in shades of reds! I think the best gift I've made was a simple stockingette scarf I did for my mom. I think it was the second thing I ever knitted, so it's not well done. She used it every day during her chemo treatments and swore she couldn't see the mistakes. The best gift I ever made and gave someone was a long sleeved shirt for my father-in-law. He was really tall and had long arms, he wore it til the cuff edges were quite ragged, and said it was the only shirt he ever had that actually fit right. the best homemade gifts I've ever given have been quilts the last two Christmases. Each one was carefully chosen for the recipient, and made with as much care and love as I could stitch into it! I am a follower. The best gift I made was a quilted Christmas tree with batik fabric. I started it on a family trip to the Oregon Coast. I made it for my mom. She is gone now so it is mine and holds great memories. Thanks! The best homemade gift was a double wedding ring quilt that took me three years to make for my daughter. When I told her the quilt was completed she asked me what color it was I told her the colors were all different shades of purples like she requested three years ago. She stated Why would I have choosen purple I don't have any purple. I smiled and told her if she did not like it I would be glad to make another color quilt and I would keep the quilt.I was secretly hoping she would not really like it. Not to worry It was love at first sight and. I didn't keep the quilt but gave it to my oldest daughter which she proudly displays on her bed. Great giveaway! Please count me in! I am a follower. My best project is a rag quilt. I am a follower, the best handmade project I have ever sew was a baby shorts and booties for my baby boy.. Love it!!! I have been making my grandchildren handmade gifts each Christmas, and it's just too hard to pick a favorite. Thanks for the great giveaway!! I am a follower. The best handmade project I have ever sew was my 1st single quilt at I gave to my 1st born. What a sense of achievement everything I see that quilt in this room. My best handmade item was my first quilt for my kitties. They love it! Great giveaway, thakns Amanda. The best thing I've made thus far is pants for my bubba…I'm working on a my first quilt (a sampler) and I'm loving it! My favorite handmade gift was the quilt I made for my favorite aunt. It was a bow tie pattern and I named it "Family Ties". She's incredibly dear to me, and I wanted hre to have a tangible reminder that she's loved. The best gift I gave away was to my BFF. I made her a shower curtain that looked like an Amish quilt. That was 4 years ago and she still keeps washing it and putting it back up. I also made a minature quilt to match and she has it hanging outside her bathroom. It is always nice to make a present and have it so appreciated. I am such a fan of you and Kelly I love that you are combining forces. Thanks for sharing!! I loved the story of your mom's quilt. Actually the best thing I ever made was a give-a-way-but NOT a quilt! Way back 100 years or so, when my daughter was in Nursery School, (even that name dates me)they needed to raise money for operations and I made the darlingest Holly Hobby doll for people to bid on at our auction. The auction and the doll DID raise lots of money! Yea! Best homemade gift(s) I've given, the quilt's I've made for my family. I was so proud to make and give away a large quilted wall hanging of a sailboat and sunset – made with all batiks. The quilt was made for my dear friends who have a home on the harbor in Martha's Vineyard. Everyone who sees the quilt – just LOVES it! I think the bright colors just make you smile. The best handmade gift ever.. a painted picture of santa in his workshop on a cuttingboard that for some reason my mother cherishes. I don't think it is my best work ever, it is the fact that my mother loves it so much. I enjoy making handmade gifts as during the process of creating the gift, it causes me to often think of the person whom will receive the gift of love and time. The best ones are the well received gifts. The best handmade project, I guess, was the first quilt I made, for my then-5-yr-old. He loved it! It was an I Spy quilt, and it became a blankie for him. Conversely, one year early in my marriage I crocheted a sweater for my father-in-law and something for my mother-in-law. They both turned out great, but they never wore it. I never ever make anything for them again. I think the best handmade gift is going to be one I am working on right now. It is a photo quilt for my mother-in-law's 90th birthday. I'm sure she will love it! Hi Amanda. Loved your story about your Mom – the things we do for our children! It's taken some thought for me to decide which handmade gift I've given that was a favorite. There have been many but I think I have to say an embroidered sweatshirt I made for my daughter might top the list, even above the many quilts. When she was nine she was diagnosed with a brain tumor and she had to undergo so many tests. She hated them all so I made her a sweatshirt to wear that might boost her spirits and ease her agony. It was embroidered with an angel surrounded by the words, "treasured, adored, loved". She walked the halls of the hospital many times adorned in that shirt! Nine years later we still have the shirt and our beautiful daughter! She will soon leave for college armed with a stack of quilts and a perfectly healthy body! And, she is still "treasured, adored and loved". Guess I didn't have my profile set properly and I ended up as "unknown". 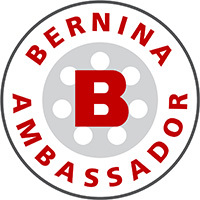 Well I do have an identity! This year for Christmas, I gave my mother a quilt made from the remains of a salvaged quilt that her great-grandmother had made. I love that I am continuing in a family tradition and a piece of my mother's history could be restored and returned to her. The best giveaway I've ever made is the afghan I crocheted for my daughter when she went to college. In my typical procrastination mode, it wasn't completed until her sophomore year. When I finally finished it and gave it to her, she said using it felt like liked she was wrapped in a hug from me. That's exactly the feeling I hoped it would convey. The best handmade present I ever made someone was a quillow I made for my mom. I wanted to make something she could fold up and reuse as a pillow. I did get a little carried away, so instead of a lap quilt, it's just about big enough for her to sleep under! Wow, I love the house quilt. I think a lot of us decorate our own homes around a quilt because we love it so much. I have given away a lot of things I have loved even though sometimes I have wanted to keep them. The best gift I made for someone was a great tote I made from scratch and added awesome Dolly Mama Breast cancer designs on the tote and some even on the inside too. It was a gift for my MIL which we gave her the day of her reconstructive surgery after having two separate mastectomies in the two years prior. After her surgery we saw her and then came back the next morning before driving the 4 hrs back home. She loved it and later in the week told me she practically had to lay on that tote because every single one of her nurses kept threatening to steal it from her because it was so awesome. That made me feel great and her too since she knew they couldn't have one because she had the only one ever made. I had filled it with all sorts of things I found while shopping for the month prior to her surgery so if it was pink it went in there. There were pink Yankee candles and then some shower gel, pink of course that I'd bought from Ulta cosmetics store. I had NO idea how great that shower gel would be when I bought it either. She told me that was the best because it made her smile from the wonderful scent and explained she hadn't realized she wouldn't be able to take a bath or shower and the shower gel she used to take her 'sink' baths but the smell made her feel so much better. Anyway, she is still telling me how she still gets comments on that tote when she's using it and people asking her where they can buy one. I made a wall hanging for my best friend in the whole world. When I gave it to him he got mad at first you see I told him it was for someone else so he would not know then he cried and hugged me so tight I thought I had broken ribs. That was the best. The best project I have completed was a quilt for each person in a family of eight family members – all for the same Christmas! The best projects I've made was a quilt for each of my children in their favorite colors. It was fun and they were excited to have something I made. My best ever homemade gift was the t-shirt quilt I made for my sorority sister. It is queen sized and has over 30 shirts in it. The quilt proudly tops her bed. But the best part was when she told her boyfriend the quilt wasn't getting put away after the winter and he whined because he wanted his t-shirts to be their summer quilt. She made him ask me to make him a t-shirt quilt. It was priceless to see a grown man as for his very own "quilt of memories." I make small lamb, bunny cat or reindeer baskets as gifts for teachers, friends, nursing home residents, whoever. I love the smiles! The best gift I made was a Sunbonnet Sue quilt for my nephew years and years ago. Each Sue was dressed in an outfit that meant something to his parents. I hadn't seen it for years until it made an appearance at the baby shower for my nephew's first child! My favorite handmade gift I made was my very first quilt. I made it for my oldest son, who was three at the time, and he still loves it! I'm a follower, and my favorite handmade gift would be two 50th birthday quilts for two friends. They were very surprised! My most favorite quilts that I made are the quilts that I made for my sons commemorating their scholastic achievements. I had each quilt custom quilted to show the accomplishments and the support that we gave each other during that time. I even made custom labels. They were very honored and pleased. My favorite project is the quilt I made for my sister when she was diagnosed with cancer. She tells me she wraps herself in it every time she sleeps, which is often. She takes two naps a day. She has live 2 years since she finished her treatments, which is about a year longer than expected. To me, a quilt is a hug, everytime you need it. It is love in thread and fabric. Franny's quilt is a scrappy stitch and flip with a butterfly in the center of each flower like block. She lives in south FL and grows certain plants in her yard as butterfly host plants. She loves and uses my quilt, which makes it my fav! I think it's neat how our favorite quilts are ones that we made for our loved ones. There certainly is joy in giving. Love the puppies, how cute is that! The best homemade gift I ever made and gave was a heartstrings quilt for my mother-in-law when she was in a nursing home. She loved the quilt and showed it to everyone who came into her room. Numerous times I had to go by the nursing station and track it down when it mysteriously "disappeared" while in the laundry. My dh and I have many good memories of her stroking it while talking with us. After she passed away on her 84th birthday, my husband had to retrieve it from the room across the hall! Definitely a much loved and much wanted quilt. Hard to pick just one project, but I recently made a quilt for my brother who lives in Singapore. We are very close. He has a very generous heart and has always helped someone in our family over the years. I made Terry Atkinson's Slide Show quilt pattern out of dark navy batiks with white sashing, very masculine and striking. He loved it! 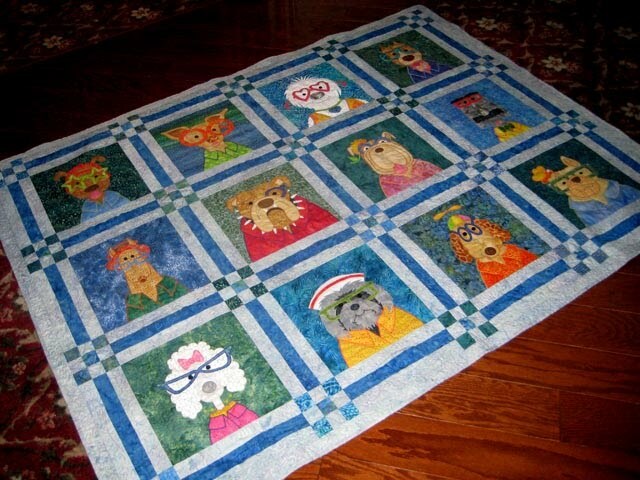 The best thing I made and gave away was a quilt for my first grandchild–my baby's baby! He's such a joy and I hope to make more "giveaways" as he grows. I did a cross stitch floral bouquet for my mother. It wasn't much but she mounted it and it hung in my parent's bedroom until they passed away. My daughter has a cross stitch Victorian house with interchangeable signs for the front door that I made. I appreciate that she has it hanging in her living room. Truly labors of love. The best handmade gift I have made was pillows for my Aunts made from quilt pieces of my Grandmothers years after she had past. My Grandmother hand pieced and quilted all of her quilts so I did the same with quilting the throw pillow tops.